Hat Yai got into our travel itinerary as a stopover between Koh Tao and Koh Lipe. But after a quick research, our one night in the city became two days in Hat Yai, and that was the best decision we’ve made during the trip. When searching for what to do in Hat Yai we discovered that the biggest city in Southern Thailand is famous among Malaysians and Singaporeans, but not many westerns travel there. So we decided to stay longer to visit Hat Yai tourist attractions, try the delicious food and feel the local vibe you can only find there. Hat Yai is close to the Malaysian border and many people we met there mentioned it’s like Bangkok used to be many years ago. The city is packed with markets and temples, it’s not super pretty but has its own charm. One thing is true if you want to experience local life, traditional costumes, and Thai food, Hat Yai is the place to go. It’s not as famous as Bangkok, Chiang Mai, Krabi Province or the beautiful islands like Koh Samui, Phuket, Phi Phi, and Lipe. But it’s definitely a place worth visiting, especially if you are heading to South Thailand to visit other destinations. There are many hotels in Hat Yai, from luxury to local guesthouses and hostels. The city is big, but most of the attractions in Hat Yai are close to each other. My suggestion is, choose the best place to stay in Hat Yai based on your travel plans. If you want to try local food and things to do in Hat Yai, I would recommend staying in the city center or close to the street markets. If you need to catch an early morning flight, than a hotel near Hat Yai airport is probably the best option. We arrived in Hat Yai by bus and we left the city by van, so we chose a hotel near the bus station and night markets. If you are traveling to Hat Yai by train [more about transportation later on], you can choose a hotel close to the Hat Yai railway station, that is also very central. We stayed at PM Residence Hotel, a lovely property close to the Asean Night Market and Central Festival Shopping Mall. It’s a super cute and clean property with spacious and bright rooms, comfy bed and lovely people at the front desk. We totally recommend this hotel as it was one of the best value for money during the trip, we paid 20 USD per night for a beautiful double room with aircon and hot shower. The hotel is brand new, and although it doesn’t have breakfast service, all the drinks and snack in the fridge are for free. If you prefer a fancier hotel in Hat Yai, you can book your stay at Centara Hotel Hat Yai, The Habita Hat Yai, S Hadyai Hotel or The Three HatYai, they are the most famous ones and they are located right in the heart of Hat Yai. All of them have good reviews and prices that range from 40 USD to 80 USD per night for a double room, what is super cheap for a 4-star hotel. There is also many budget accommodation in Hat Yai. 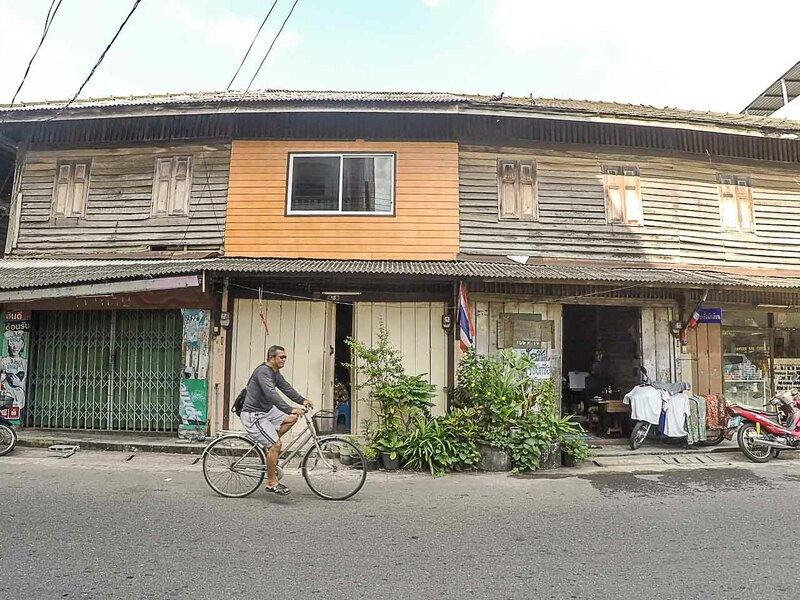 The best hostels in Hat Yai are: Hub Hostel Hatyai, Hatyai Backpackers Hostel, and Hatyai Dee Hostel. 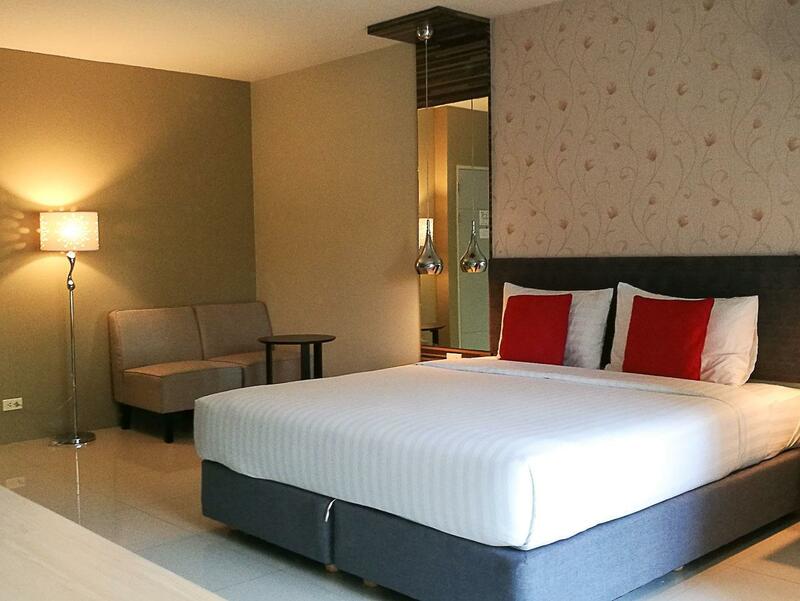 Still looking for the perfect place to stay in Hat Yai? So search for the best room and best price on Booking.com and Agoda, these two websites have some of the best offers. Although it’s not a super touristic city, the list of what to do in Hat Yai is long and it doesn’t matter if you are going for one day or a week, there are a few things you must do there. 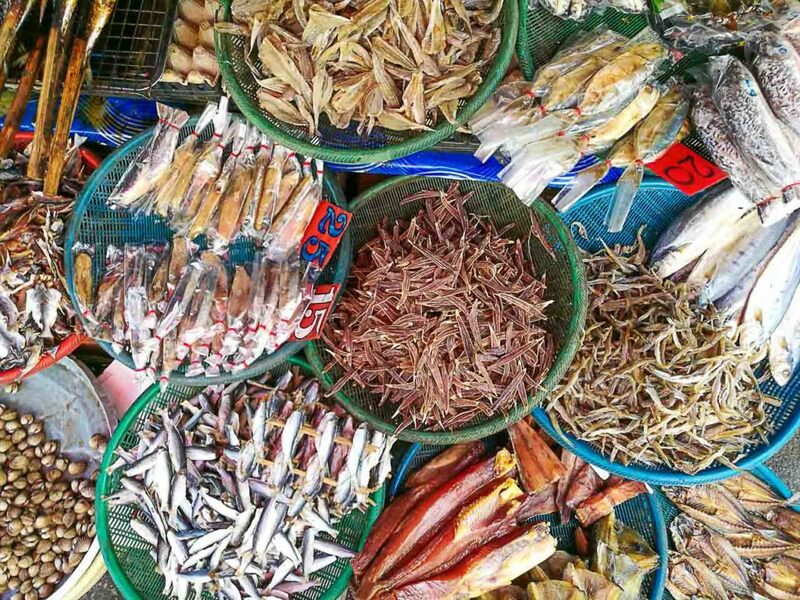 The top things to do in Hat Yai can be grouped up into 3 categories: food, markets, and culture. If you have 24 hours in Hat Yai or 2 days like we did, I highly recommend you booking a local tour. Hat Yai is a big city, so a local guide can take you around, show the best spots for food, drinks, massages and tell you the history of the places. We are big fans of local experiences, that’s why we booked our Hat Yai day tour via TakeMeTour [as we did in Bangkok twice and in Phuket]. They are a Thai startup that connects travelers with local guides, offering unique experiences and tours that will take you beyond Hat Yai’s tourist spots. Hat Yai is a paradise for food lovers, from authentic Thai cuisine to Chinese and Malay dishes. During our tour, we tasted a few local snacks while exploring the city and dinner was in a super cute restaurant in Hat Yai city center. The food was spicy and full of flavors, and I was so hungry that I forgot to write down the name. Shame on me! Somtam Chaba Restaurant: classic Thai dishes such as papaya salad with grilled chicken. Chen Long Boat Noodle: try the delicious beef braised soup noodles in one of the most famous noodle restaurants in Hat Yai. Chokdee Dim Sum: cheap and delicious dim sum served from 6 am to 10 pm, be prepared to queue as this street shop is always full. Mon(s)day Cafe: great place for salads, Thai food, coffee and to play with a lovely cat that lives there. 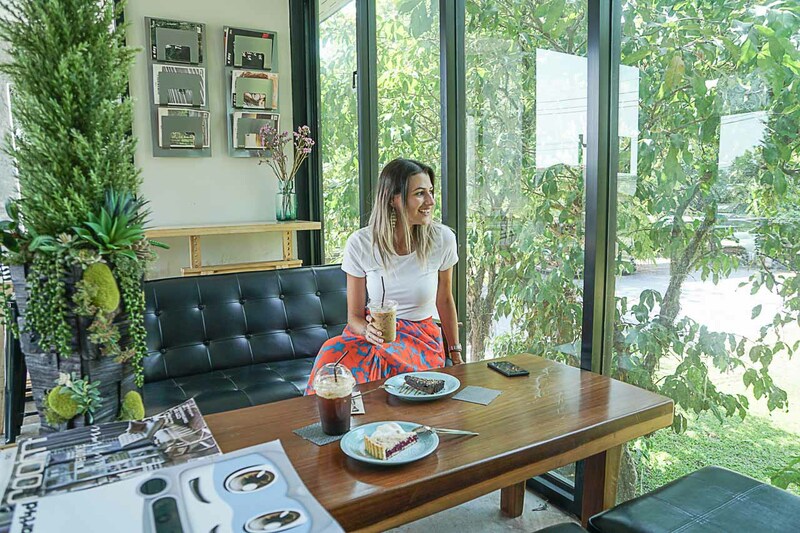 Foresto Cafe: my favorite spot for good coffee, cakes and pies to die for. If you really want to try nice patisserie in Thailand, this is the place. The ice coffee with ginger was an explosion of flavors. The Containers: a trendy place for an everyday meal, smoothies and coffee. Craving for more street food? So find your way to the Lee Garden Plaza and I’m sure you’re gonna find satisfaction there. Also, some of the best places to eat in Hat Yai are the street and night markets. There are many street markets and night markets in Hat Yai, there is probably one market for each day of the week if not more. 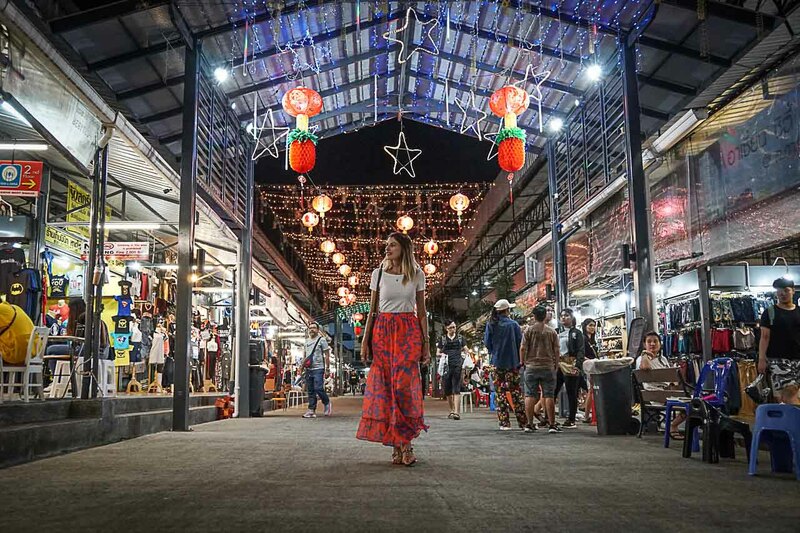 Bottom line, one of the top things to do in Hat Yai is going shopping for food, souvenirs, clothes, bags, shoes, cosmetics, you name it, you can find everything you want there. Some of the street markets are open during the day, others only after sunset. And it doesn’t matter if you’ll visit one or 10, go to the markets with an empty stomach and some cash. 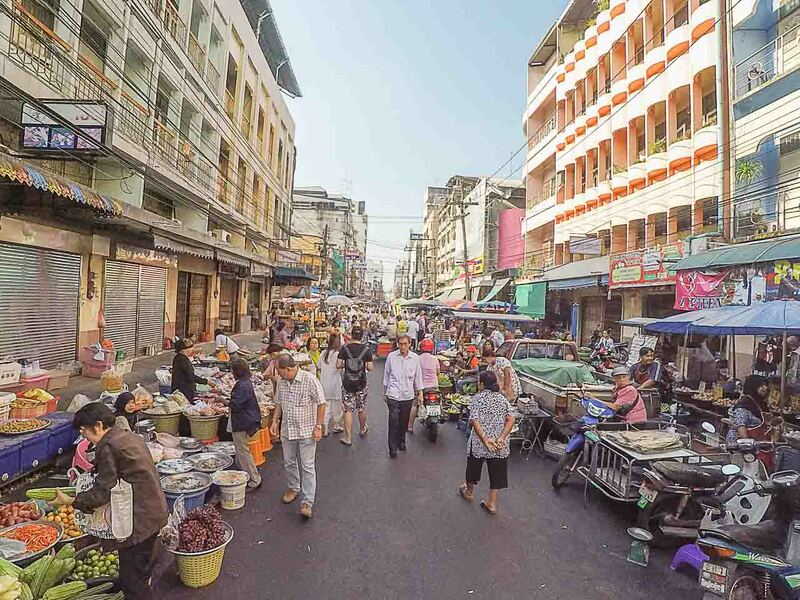 The street markets in Hat Yai are cheaper than in Bangkok or on the islands, that’s why it is a shopping paradise for Malaysian and Singaporeans. They come to Hat Yai to buy brand named clothing, cosmetics and even electronics for a better price than at home. 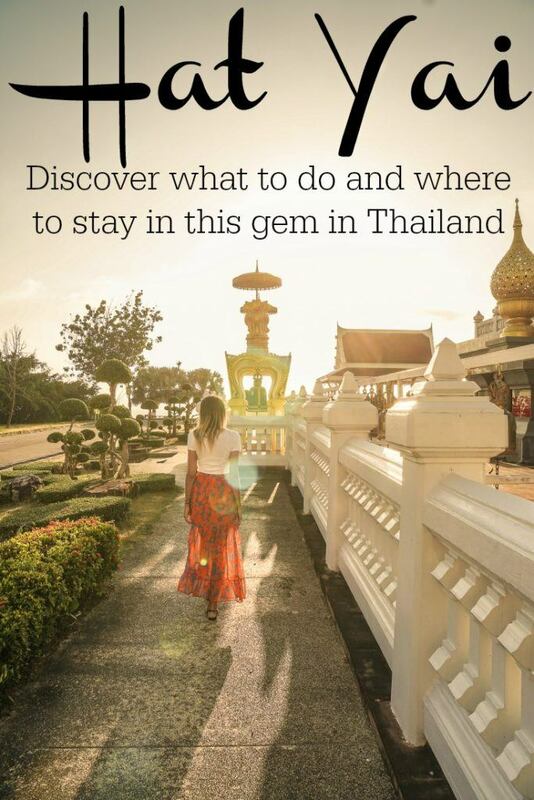 Take advantage of that and add a retail therapy as one of the top things to do in Hat Yai. Kim Yong Market: it’s open every day from 6 am to 6 pm, it’s a traditional Thai street market where you can find fresh and dried fruits, sweets, flowers and souvenirs. It’s located in the center of Hat Yai. As a tourist expect to pay a bit more or put your haggling skills into practice. Greenway Night Market: it’s open everyday from 4 pm to 10 pm, great for food, local designers and clothes. They have a second hand section with some interesting stuff. Asean Night Bazaar: open from Tuesday to Sunday from 4 pm to 10 pm. It’s a paradise for clothes, shoes and accessories. I just thought many stalls sold the same things, in my opinion, Greenway Night Market has a better variety. Asean and Greenway are very close to each other, and they’re about a half hour walk from Hat Yai city center. Nakhon Hat Yai Municipality Market: it’s a traditional Thai market selling fruits, veggies, meat and ingredients to prepared all the yummy Thai dishes. It’s not a touristic market, but if you want to have a local experience head there in the early morning. It’s also a bit far from the city center, so you might need to ask your local guide to take you there or take a taxi. Hat Yai Floating Market: it’s open from Friday to Sunday, from 3 pm to 9 pm, so we couldn’t fit it in our Hat Yai itinerary. But to be honest, all the reviews we read about it were quite disappointing. So If you have already visited a floating market in Bangkok, I believe you can skip this one. But if you have plenty of time in South Thailand, add the floating market to your list of what to do in Hat Yai and have fun! 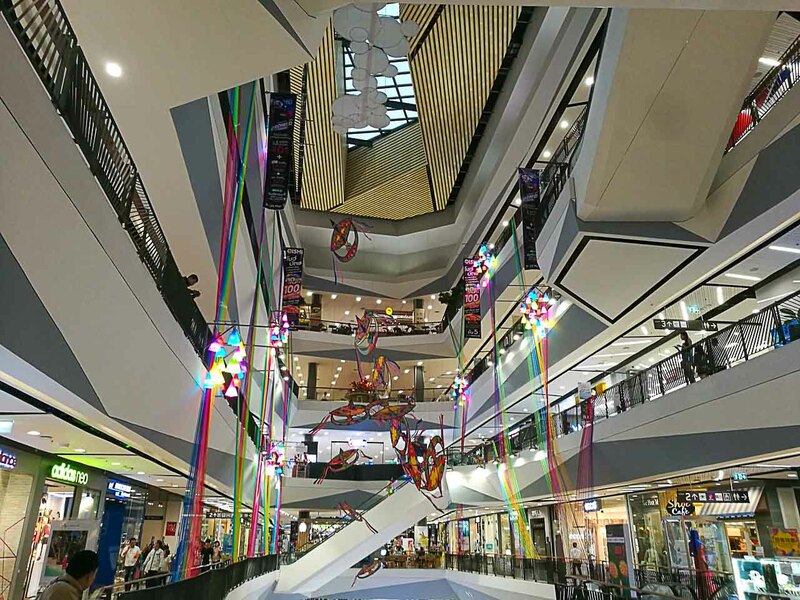 Central Festival Shopping Mall: if you are traveling to Hat Yai for shopping than you must visit the huge Central Festival mall. You can find all the international brands, Thai local products, cosmetics, movies, tea houses, furniture and more there… It’s huge and there is a big food court on the top floor. From Mondays to Thursdays it opens at 11 am and closes at 9 pm, from Fridays to Sundays it opens at 10 am and closes at 9:30 pm. During your tour, you’re gonna learn more about the city and how Hat Yai became an important hub in South of Thailand. But apart from that, plan with your guide a visit to some of the top attractions in Hat Yai and enjoy the city from a different perspective. 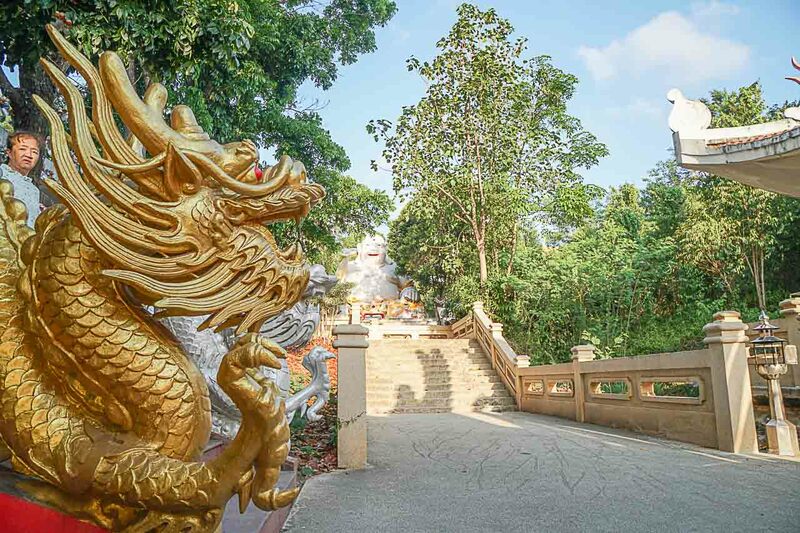 Among all the great places to visit, there are a few things you must do in Hat Yai. Hat Yai Municipal Park is a bit outside of town and you’ll need a car to go all the way up to have the best view of the city. 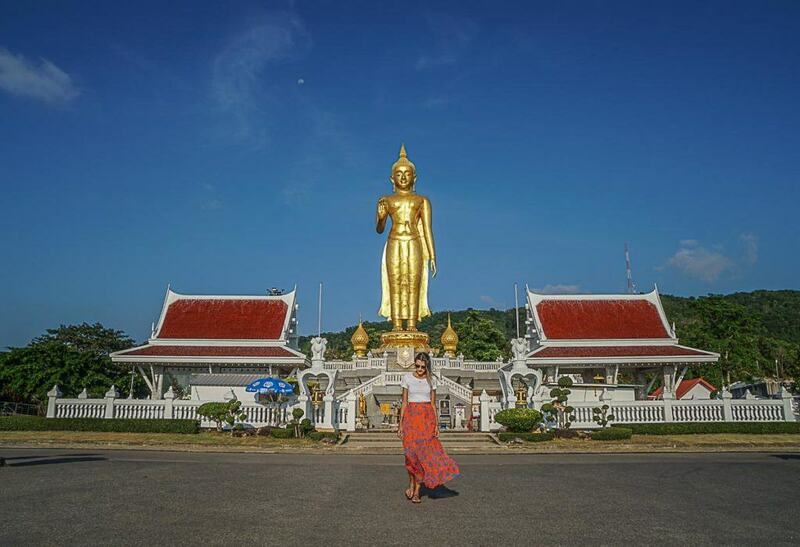 Most of the tours in Hat Yai include a visit to the park and the Standing Buddha on the top of the hill. But if you plan a day trip in Hat Yai with a local expert, as we did, you can actually talk to the guide and organize the activities and places you want to visit. So ask the guide to take you to the park at the end of the day, during sunset, it looks gorgeous. Just make sure to arrive in time to catch the last cable car. You can ride the Cable car for an even better view, and after that go to other different shrines and temples scattered in the park. Walk in the mouth of the Laughing Buddha and be surprised by statues and local people paying respect to the Gods and their ancestral. The city has many temples, from traditional Thai Buddhist to Chinese and Hindu influenced ones. Some of them are located in the city center close to Kim Yong Market. If you only have time for one more visit, than go to the Wat Hat Yai Nai to see the beautiful Reclining Buddha. If you still have time, or if you decided to stay longer, there are a couple of fun things to do in Hat Yai. Maybe an afternoon break at one of Hat Yai’s cat cafe? What about going for a jungle trekking and visiting a waterfall? Check the waterfall tours here. Another famous attraction in Hat Yai, especially for families, is the 3D Museum packed with interactive arts. Hat Yai is an important city in Southern Thailand and it’s connected to the rest of the country via train, buses, vans and an international airport. It’s quite easy to travel to Hat Yai and depending on where you are coming from it might take only a few hours. There are daily flights from Bangkok to Hat Yai and the trip takes 1 hour and 30 minutes. Flights from Chiang Mai to Hat Yai take about 2 hours and flights from Phuket to Hat Yai only 1 hour and 10 minutes. Hat Yai airport also receives daily flights from many international countries within Asia and Southeast Asia. There are daily flights from Kuala Lumpur to Hat Yai and it’s a 1 hour and 10 minutes trip. To plan your arrival and departure time keep in mind that from the city center to Hat Yai International Airport it takes about 30 minutes by car without traffic. If flying is not an option, you can travel to Hat Yai by bus, train or van. It might take longer but it’s usually the cheapest way to travel across Thailand, and from some destinations, it will be the only option. If you are thinking of traveling from Bangkok to Hat Yai by bus, be prepared to face up to 13 hours on the road. From Bangkok to Hat Yai by train is even worse, 17 hours inside the train, not considering delays that are very common in Thailand. Traveling from or to the Islands will probably demand a combination of means of transportation. From Phuket, Koh Samui and Krabi you can fly to Hat Yai, but from the other small islands you will need to buy the ‘joint ticket’. It’s one single ticket that includes different modes of transportation. You travel from point A to point B paying only once and the company will handle everything. We always buy our train, bus, van or ferry tickets on 12GoAsia website. You find all the routes, timetables, prices and reviews about the services there, and you can buy the joint ticket within a few clicks. It’s fast, reliable and in English, perfect for buying tickets to lesser-known destinations in Thailand. We traveled from Koh Tao, on the Gulf of Thailand, to Hat Yai and it was a long journey. We caught a boat early in the morning, then a van and another van after that, it was almost a 10-hour trip, with a single joint ticket. People told us where to go and where to wait, and we arrived at Hat Yai terminal safe, sound and sweaty. After Hat Yai we went to Koh Lipe, and again the joint ticket via 12GoAsia was the best option. They picked us up at the hotel, a van took us to the pier, and then a boat to Koh Lipe. Super easy. To get around Hat Yai you will need a scooter, a taxi, a guide or a lot of energy to walk for hours. The city is big and if you only have a few hours or days, you better rent a motorbike or use the local taxis to get around. The public transportation in Hat Yai works fine, but you will need to go through the language barrier. My suggestion is to download the App GrabTaxi and use it on your trip. It’s easy, safe and super cheap. Add Hat Yai on your travel plans, it’s a hidden gem in Thailand perfect for a 2 or 3-day stopover between islands in southern Thailand, or even just before crossing the border to Malaysia. 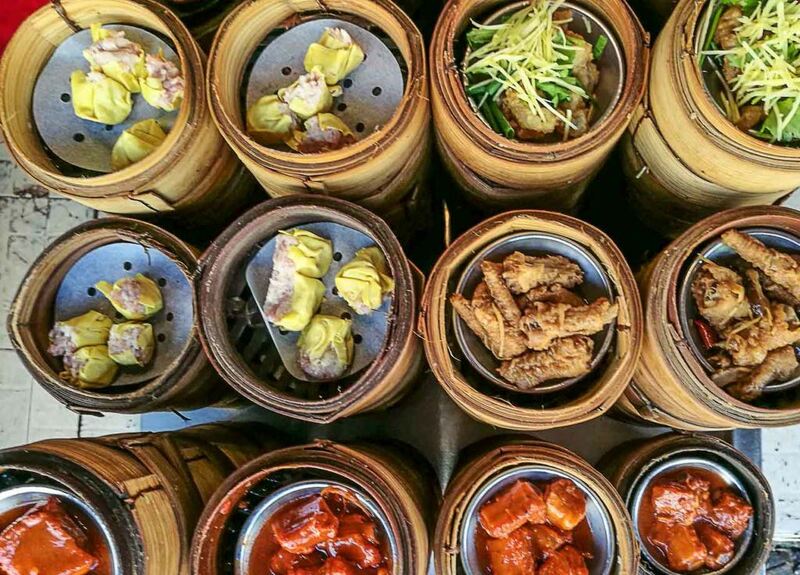 Follow our tips on what to do in Hat Yai, shop around and eat some of the yummiest food in Thailand.